How To Tackle Issues Related to Timber Doors Repair? Timber doors not only look decent but also look luxurious when installed in any home. However, sticking or broken timber walls can pose a great problem if not treated at the right time. In correct size, sticking due to heat and paint build-up are some of the common issues that grow bigger later. As a home owner, you must know that fixing such issues is not very difficult. 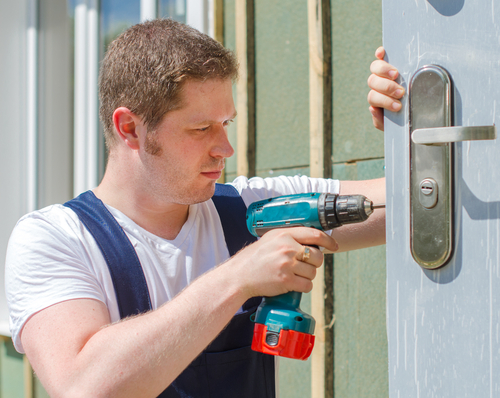 Before calling in the professionals you must know that these are certain times during the year, like the monsoons and the late summers, when timber doors get expanded and they need to be chiselled from the sides to make them proper for installation. 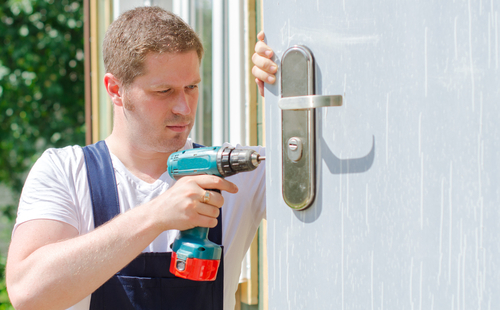 Fixing loose screws – The problem of sticking timber doors can be loose screws. This problem can be detected by opening the door just 100 mm. If there are any movements while pushing and pulling the doors towards the hinges, then there is surely a problem. Even a cracked paint at the location of the hinges can be a big issue in timber doors. To fix the issue, you can just tighten and fix the loose screws. For this, you will need a longer or larger gauge screw and if the problem still exists then you will have to replace it at any cost. Swelling door – Swelling timber door is a very common problem in almost every home. It is most often problem caused due to humidity and heat. At any time, when weather is very humid, moisture gets into the exposed areas of timber through unpainted points or joints. Doors swell and stick due to this change in weather condition. For this issue, you will have to paint and repair the broken areas of the timber door. Any bare edges will have to be primed and hinges will be required to re-housed, depending upon the level of issue. The area where the latch is located will also have to be treated. What to do if paint builds up all along the doors? Paint build-up in timber doors is another issue that may fall you in troubles. To solve this issue, you will first have to see the volume that has built up on the door. In case, the entire timber door is sticking then you will have to take out the door first and then plane it. You must keep in mind that using the right power tools is very necessary to remove the build-up. However, if the sticking area is small then you can just mark the area with a pencil and then do the treatment. These small areas can easily be fixed by just taking a cork standing block, screwdriver, sandpaper, pencil, paint and plane. How to deal with sticking timber doors? If there is too much heat and humidity, then timber doors can stick out. The sticking problem can be tackled by using good quality timber and polishing them more often when the monsoons are over. Of course, it is true that you must not be having any professional knowledge about timber doors repair. In such a situation, you must not hesitate in searching the city’s most experienced professionals and hire them. Make sure the team of professionals is trained and always follow all the industry norms while working. In addition to this, you must also go through the reviews of the clients who have availed the same service from that company so that you are assured of getting the best services.